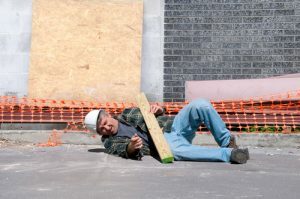 Construction and Refinery Accidents | Houston Personal Injury Attorney. Construction and refinery accidents are more common than we like to admit. These types of accidents can, and almost always do, result in serious injury or death. Attorney Hinkle is here to help those that have been injured or otherwise afflicted to gain the most compensation possible. If you’ve been injured in any of these type of accidents, you could be entitled to compensation, also known as damages. These damages could be used for medical bills, time off work spent recovering, as well as emotional or psychological support that may be necessary after an accident. Funeral expenses can also be paid for by any damages awarded to the decedent’s family and loved ones. Precautions can and should be taken to avoid any such accidents. Wearing a helmet, reflective clothing, and always having someone to “spot” or support you while working are just a few of the precautions you can take. Even if you take such precautions, accidents will still happen. It’s important to talk to a personal injury attorney in Houston to ensure that those responsible for the accident are held liable, like the refinery or building owner, project manager, or others. The Law Office of D’Ann Hinkle has been trusted for 25 years to handle such cases. Letting an experienced Houston personal injury attorney handle your case ensures your best chance of success. When trying to handle such cases on your own will lead to confusion and frustration. The added stress you’ll feel without an attorney by your side will not help your recovery. Handing your case over to the professionals allows you time to spend with your loved ones and recuperate accordingly and accurately. Contact the Houston personal injury attorneys of the law office of D’Ann Hinkle today, to schedule your consultation and discuss your next step.